A senior member of administration at NUI Galway has made a complaint under the 2014 whistleblower Act about alleged irregularities in the appointment of people to senior teaching and administrative positions. 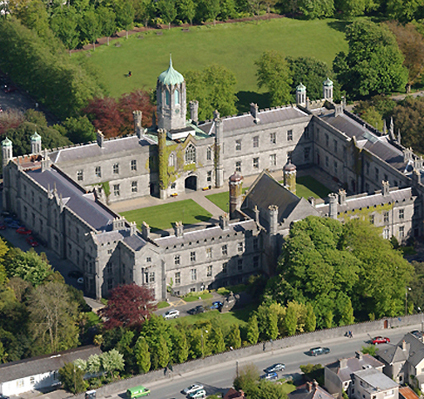 The controversy is the latest in a succession of rows between staff and management at NUIG which has seen the Equality Tribunal make serious findings of gender discrimination against the college. Other cases by women alleging discrimination are making their way through the tribunal and at least one has been lodged with the High Court forcing the embattled NUIG president, Jim Browne, to issue a statement in recent weeks insisting that he has no evidence that discrimination is widespread within NUIG. He was responding to a letter from the vice-president of SIPTU, Gene Mealy, which represents more than 700 workers in NUIG, claiming that “widespread problems of discrimination persist across all grades of staff” and that there has been “a proliferation of precarious employment contracts which we believe are inherently discriminatory”. The union criticised management for failing to engage with the State’s industrial relations machinery. Browne rejected the assertions by Mealy and urged the union to “bring any evidence of discrimination to the attention of our director of HR and organisational development, Chris McNairney. I am sure he will investigate them thoroughly and professionally”. Regular reports in the Connacht Tribune posed questions over the appointment of consultants, Results Through People Ltd., at a cost of €180,000, by the School of Law for just 22 months work. Last year PR firm Drury/Porter Novelli, was commissioned to supplement the five person NUIG communications department when the college became the centre of an international media storm over a health questionnaire for job applicants which included questions about women’s menstrual cycles, and gynaecological and prostate problems. The union committee has also expressed a lack of confidence in the independence of the newly appointed vice-president for equality and diversity. Ann Scott, formerly of Dublin City University and Liverpool John Moore University, who was appointed to the position in recent months at an advertised annual salary of between €106,000 and €136,000. The remuneration also annoyed lecturing and other staff who have witnessed a sharp growth in contract-based, low paid employment since Browne took up the president’s position in the late 2000s. Suspicions of an “old boys club” at NUIG emerged in a survey last year which found that male and female staff used terms such ‘misogynist’, ‘aggressive’, ‘toxic’, ‘bullying’ and ‘cronyist’ to describe the culture at the college. Similar allegations of discrimination and improper promotions have been made at UCC, DCU and UL as third level administrators pursue an aggressive embrace of the corporatist model so widespread in British and US colleges. Next article Green Party’s Catherine Martin on life, politics and everything.